Simple K12 is hosting a free online Google Event on Saturday April 23rd starting at 10:00 am EDT. 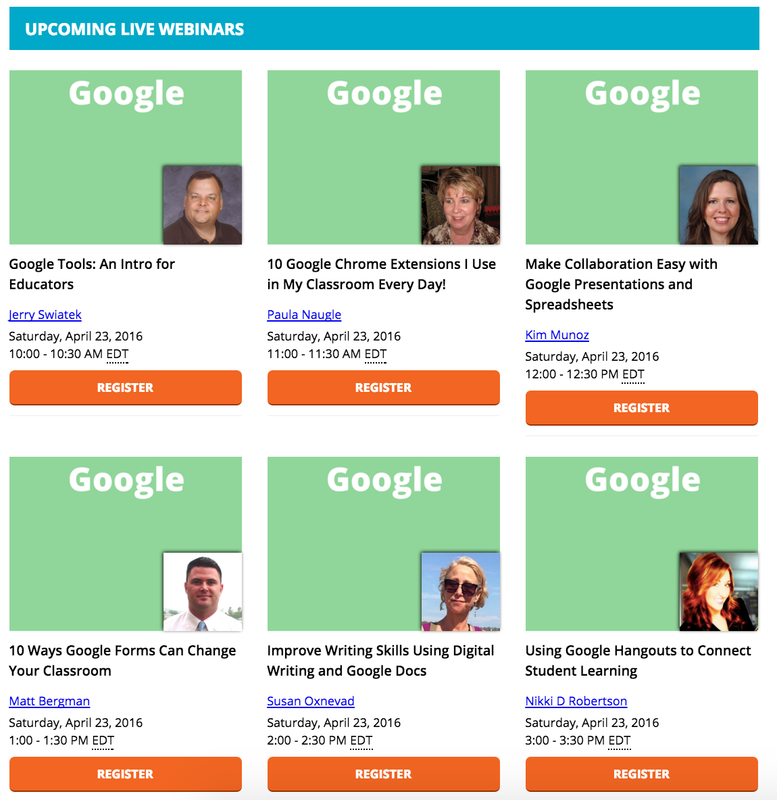 This day of webinars promises to be filled with great ideas for using Google for teaching and learning. It will be a great day packed with amazing educators eager to learn and share, some in their PJ’s! Digital writing with Google Docs has been one of my favorite teaching strategies for a long time, so I am excited to be hosting a session to help educators Improve Writing Skills with Google Docs. Learn more about this webinar and sign up on Simple K12.com.